The Gamma Fleet is coming along nicely. My thanks to everyone who has contributed so far. We do have a lot of work to do, but our Gamma Fleet is not the priority right now. 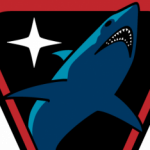 The biggest concern right now is the size of our roster in both the 44th Fleet and the 44th Delta Fleet. So, as a reward for having an alt in the gamma fleet, you will receive a Gamma Fleet Colonization Ribbon. Have an alt that you don’t play much? Bring them over to the Gamma Fleet. You earn a forum ribbon and you help out the 44th Fleet in general. Leave the 44th Fleet or 44th Delta Fleet with the character that you don’t play very much on. Then list all Character names here on this post. 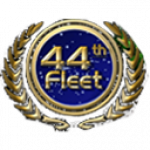 Your character(s) will then receive a fleet invite to Gamma and you will earn a ribbon and our thanks. And just as a reminder, all your alts will keep their (fleet) rank, whether they are active or just farmers, in whichever fleet they serve. If your Gamma alt would like something from a fleet store, we can move them to Main/Delta stores and back to Gamma quick and easy – we are four fleets acting as one ! Ada@frurin reporting for 44th Gamma service. When an officer gets online, they can send the invite. It would also help a great deal if you guys could also post your in-game fleet rank as well.